After publicly declaring his intention to join music group VIP, Myjoyonline.com can confirm that Reggie Rockstone is now a member of the group. 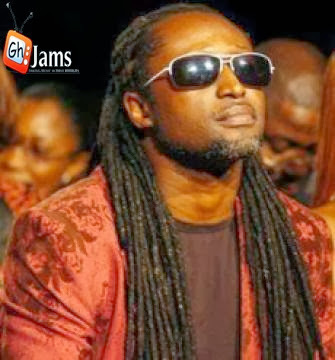 Reggie's intention to join VIP was necessitated by Emmanuel Ababio (Promzy)'s exit from the prominent music group, which also has members made up of Joseph Nana Ofori (Prodigal), and Abdul Hamid Ibrahim (Lazzy now Zeal), after almost two decades of recording and performing with them. Many had said Reggie Rockstone's declaration to join the group was just a publicity stunt but after weeks of having the news inundating the media landscape, VIP has agreed to bring him onboard. on Tuesday that he is now a member of the group, indicating that the agreement was "just by words". He further noted, "I was supposed to perform" at the 4Syte Music Video awards last Saturday with VIP to formally introduce "me as a member" but that did not materialize because he was on another show at the Accra Sports Stadium that same day. "I was supposed to get on stage with them for that, that would have been my first appearance," he stated and hinted that "We might do it at the 'Back in the Day Concert." Credited for starting the hip-life music movement in Ghana, Reggie is part of the main acts for this year's 'Back in the Day' concert, which will be headlined by legendary American hip-hop group, 'Naughty By Nature'. The concert comes off on December 6 at the Accra International Conference Centre. Manager of VIP, BullDog, known in real life as Lawrence Hanson, in an interview with Myjoyonline.com, Tuesday, also confirmed Reggie's addition to the group. "We've spoken about it so it's not like we never had that discussion," BullDog noted, adding that they have held about three discussions on the matter. According to him, the group "should have done a performance with him at the 4Syte Music Awards," and the "reason why it didn't happen was because he was somewhere doing a Glo event". Managers of VIP are therefore calling on Ghanaians to expect VIP and their newest member, Reggie Rockstone, on stage in December.